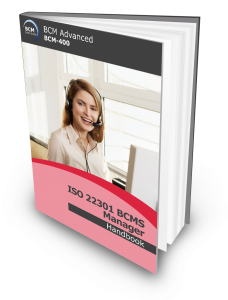 BCM Managers who have completed the pre-requisite, BCM-300 ISO 22301 Business Continuity Mangement Systems (BCMS) Implementer course are encouraged to attend this follow up course. Here, managers are taught the intricacies to manage and maintain their BCM plan from its initial stage of implementation right through its various stages of maturity. Various testing methods best suited for each level of maturity would also be introduced. Implement BCM audit and assessment programmes to ensure BC plan effectiveness. The participants will also have to sit for the 3.5 hours Qualifying Business Continuity Certified Expert (BCCE) online exam after which they will be able to apply for the BCCE certificate provided they have the pre-requisite 3 years of BC experience. To know more about our BCCE certification, you can do so via this link. BC Certified Expert (BCCE) Certification is awarded to participants who successfully completed and passed the Qualifying BCCE examination attached to the course, sends in an application detailing at least 3 year of BC experience , make the application processing fee payment of SGD150 and satisfies and meets the experience requirements of the independent certification body. Conduct a risk analysis and review exercise. Manage, consolidate and analyse business impact of an organization. Develop and implement business continuity and recovery strategies. Develop and implement comprehensive BC plans. Create and develop BCM awareness and training programmes. BC Managers and practitioners tasked to drive corporate level BCM programmes will reap maximum benefits from the concepts and practices. Professionals with at least two year of BC/DR or 3 year of Security/Risk Management/ Crisis Management or related experiences. This course incorporates a 150-Multiple Choice Question electronic exam the next day. The duration of the examination is 3 and 1/2 hour. Candidates who achieve with a passing score of 75% or higher are eligible to apply for the BCM Institute’s Business Continuity Certified Expert (BCCE) accreditation. The examination fee is included as part of the course fee. This course fee does not include application processing fee for the BCCE certification. The course fee includes the BCCE examination fee.